Planning your getaway this summer and are confused where to go? 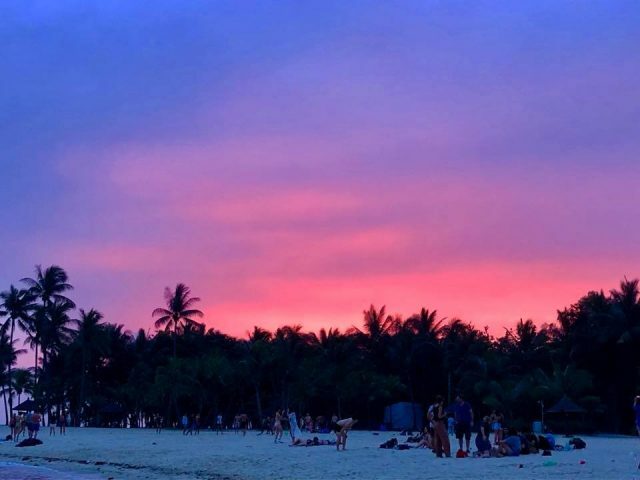 To solve this travel conundrum, here is the reviewed list of top beaches in Singapore that are duly selected by the tourists. Who doesn’t love beaches! The idea of relaxing in the sun, swimming like a pro and dancing in those beach clubs- it’s all fascinating. Whether you are a solo traveller and just want to spend a day outdoors with your book, or you are a gang of friends and discovering a place that suits every kind of fun, beaches never let you down. How many beaches are there in Singapore? Singapore has great exposure to all kinds of entertainment, and escalating its overall beauty and enthusiasm is the vast array of beaches. Renowned as the island nation of the world, it comes to no shock that the country has everything to fit into beach lover’s bucket list-perfect white sands, clear blue waters, calm ambience, lively clubs and scrumptious restaurants. Not a lot, but the country has its own charming pockets of beaches on the main island and offshores. From the famous Sentosa island to the East Coast, here is the ultimate list of some best beaches in Singapore. 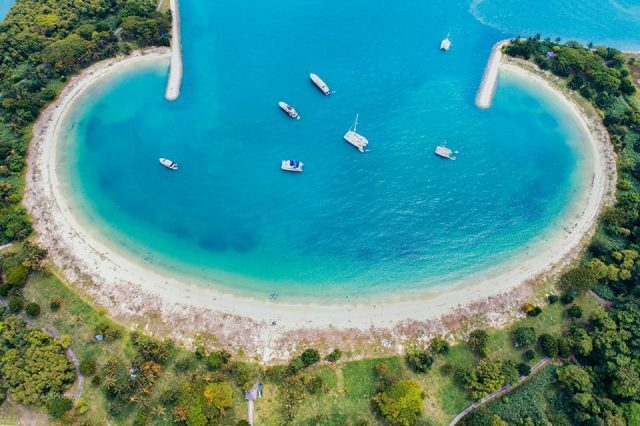 Tucked on the south-western coast of Sentosa, one of the prominent beaches Siloso is a great spot for picnic and sports. Hosting a range of sports and activities around, it is a buzziest beach. You can find people partying, dancing, canoeing, playing volleyball and horse riding around the beach. There are exciting options to choose from and have a blast- a few are the super-fast donut rides, stand up paddles or even a jet blade experience. And with such an amazing response from locals as well the tourists, there is never a dull moment here. At night, the sandy shores are vibrant as the bar music and club parties turn on. You are going to love the vibe of this place, especially in the summers! The high spot is the 450-metre long MegaZip, nearby Mega Adventure Park that offers the splendid views of the beach. 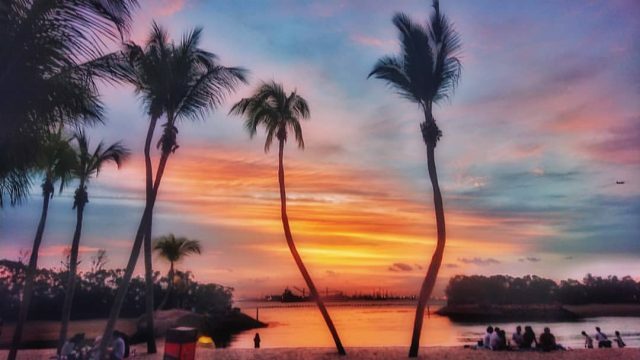 Located to the southern tip of man-made Sentosa Island and to a walking distance from Siloso beach, this beach is geared with various family amusement options. Spend some quality time with your clan, get your kids to play their favourite games and eat in the premium outlet. 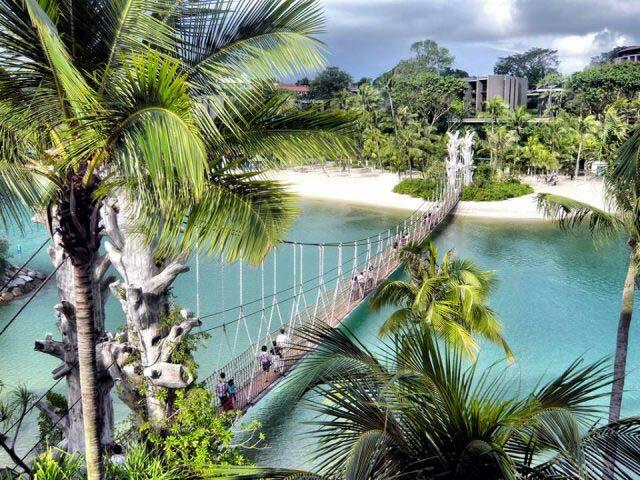 Start with a panoramic view at the bird-eye tower that throws a beautiful display of Sentosa Island. Port of Lost wonder is an amazing kid clubs and being the Singapore’s first of its kind makes it more special. It is a pirate-themed water park and promises unlimited fun for adults and kids alike. There is the free animal show organised at Palawan Amphitheatre. Give a break to your tour with a good meal in a huge food court, which serves Indian, Chinese and western food. The highlight of this beach is the suspension bridge that connects Palawan beach to the Southernmost Point of continental Asia. Conde Nast Travellers names this beach in its Top 50 beaches, and we aren’t surprised! This place is delightful, extending the southern areas of Sentosa. It looks like the number three from above and has fine yellowish sand, lined up with coconut trees and fancy resorts. If you love swimming, this is one of the quiet beaches in Singapore, very popular to splash around and gather enormous fun. The weekdays are tranquil while the weekends are unstoppable with the beach parties everywhere. The oldest beach in Singapore that still preserves the essence of Kampong Culture, precisely in a good space is extraordinary. 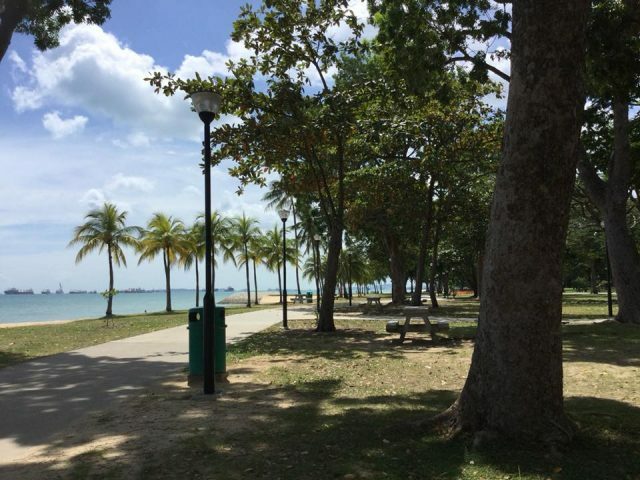 Running from Changi Point and stretching to Changi ferry terminal, this 28 hectares beach owns a wonderful ambience for adults, kids and youngsters. The beach is dotted by coconut trees and spread with white sand. You will be attracted to the way everything is so nicely put, from recreational hubs to the deluxe resorts. The sea facing bistros and cafes are a lot inviting and the menu on their card is mouthwatering- you are going to spend a long time relishing their cuisine. Fitness enthusiasts can jog and walk along the winding tracks. Seven million locals and travellers flock to this place to partake into the plethora of entertainment, sports and dining options. Bask in the sun, cycle around, hop onto the roller blades or try cable skiing to do something beyond the ordinary. The adventurers can get a fix at Xtreme SkatePark, which has three different areas to practice kickflips and ollies. There is a flurry of attractions, from Castle Beach to the Singapore Wake Park suiting all ages. Not just that, if you aren’t willing to be part of the action gang, there is no dearth of places to just sit back and relax. Like, stage a picnic with family under the swaying coconut palms and Casuarinas. 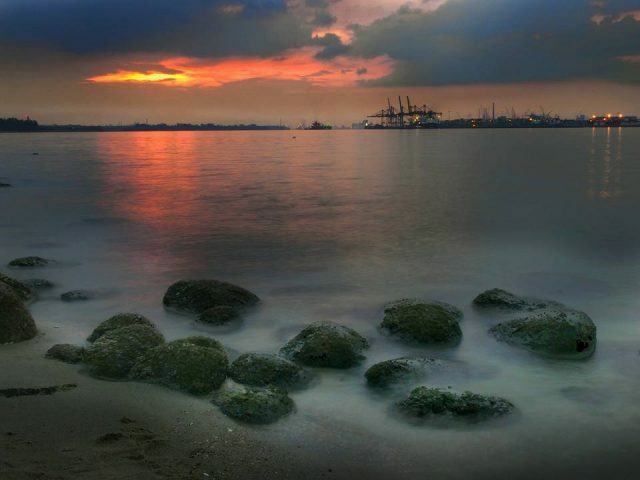 Punggol Beach is still a secret for many. 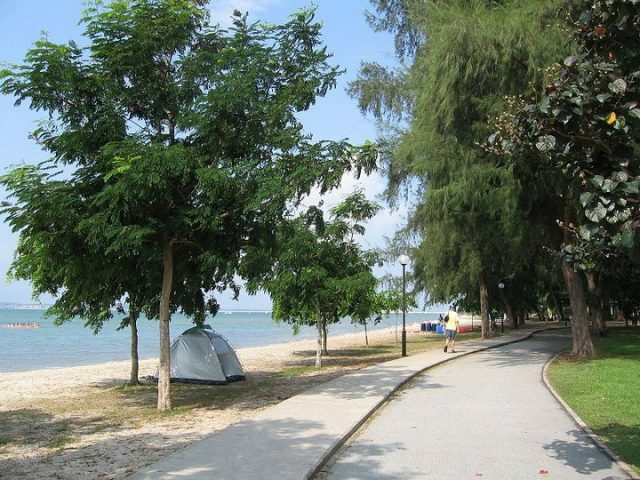 People know about the Punggol Waterway or Punggol Point Park but Punggol Beach remains hidden. This is a picturesque beach that has large rocks scattered all over the white sand. Pose around and click pictures with the changing colours of sunset, the Instagram tree, or at Lalang fields. Amongst plenty of options to do, you can ride the hipster bicycle, go late night prawning, relish the seafood, join the play of Futsal, and check out the unique FPS experience. Heard of the Sook Ching Massacre in 1942? Based on this tragic event, there is a spot that helps you revisit history. All this culminates to make Punggol Beach tour an action-packed day. Referred as the Singapore’s secret paradise, Lazarus beach is a unique island holiday. People who are considering ways to get closer to nature, nothing is idyllic than this. It boasts a pristine look, rustic feel and off-beaten ambience. Filled with turquoise water, untamed white sand and foamy froth, the splendid beach is available in its raw beauty. Stroll on the beach, take part in the kite flying affair, set picnic and drink the coconut water direct from the source. This is a cat island and if you are thrilled about seeing cats, you are going to stay here forever. What is the best beach in Singapore for swimming? Most of the beaches in Singapore have now been disappeared because of the rapid urbanisation and development. To cover the loss, there are different man-made islands that are discovered. Amongst the various, the lagoon at Sentosa Island wins it big time when it comes to swimming. Featuring clear waters, great amenities and photo-worthy views, this island is excellent for your adventure. So, just unwind and chill out with friends, or family or even alone. Have a good time under the sun and spend some unforgettable moments in these beaches.